Mickey and Minnie’s Surprise Celebration kicks off today at the Magic Kingdom, and along with the new entertainment and merchandise options, the Walt Disney World chefs have created some special treats for the occasion. Cosmic Ray’s Starlight Cafe will once again be serving this special burger. 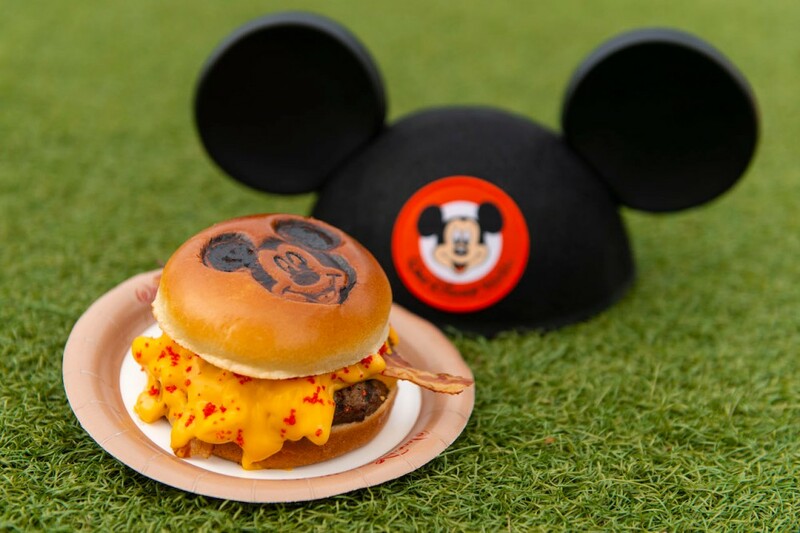 The angus burger is topped with macaroni & cheese, American cheese, cheese sauce, flaming hot cheese dust, and bacon, and is served on a Mickey Mouse bun. 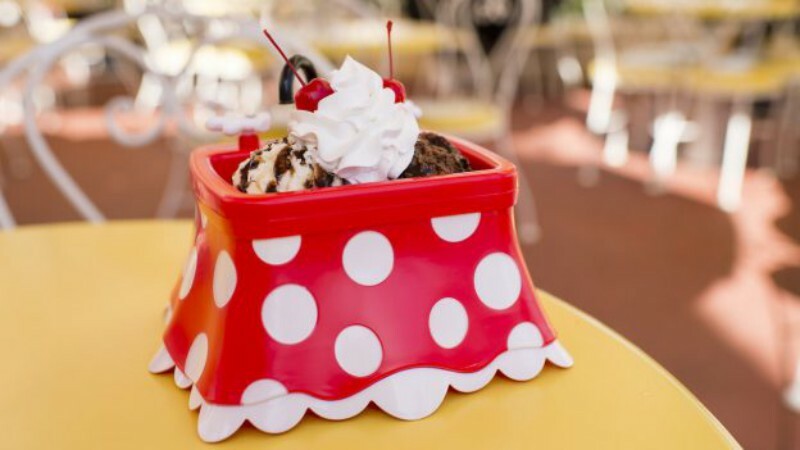 The Plaza Ice Cream Parlor will be scooping up this fun item that comes with two scoops of ice cream, whipped cream, cherries, plus your choice of hot fudge, peanut butter, or caramel. 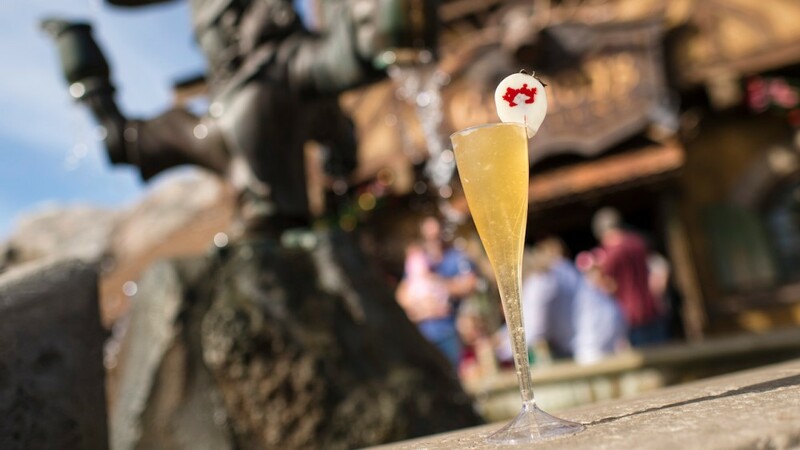 This sparkling cider slush served in a champagne flute garnished with a white chocolate-dipped strawberry will be served at Gaston’s Tavern through the end of February. Look for this strawberrry-vanilla marble cheesecake through February 15th. 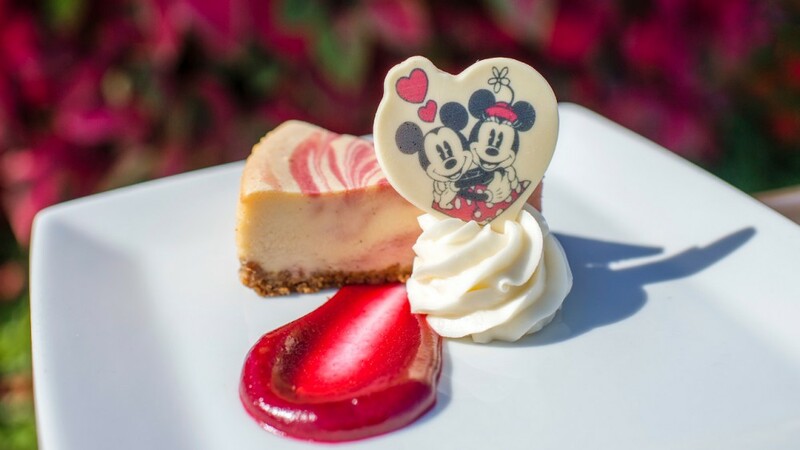 The dessert comes with raspberry puree, whipped cream, and a Mickey & Minnie chocolate piece. You’ll find the cheesecake at The Crystal Palace, Jungle Navigation Co. LTD Skipper Canteen, and Tony’s Town Square Restaurant. 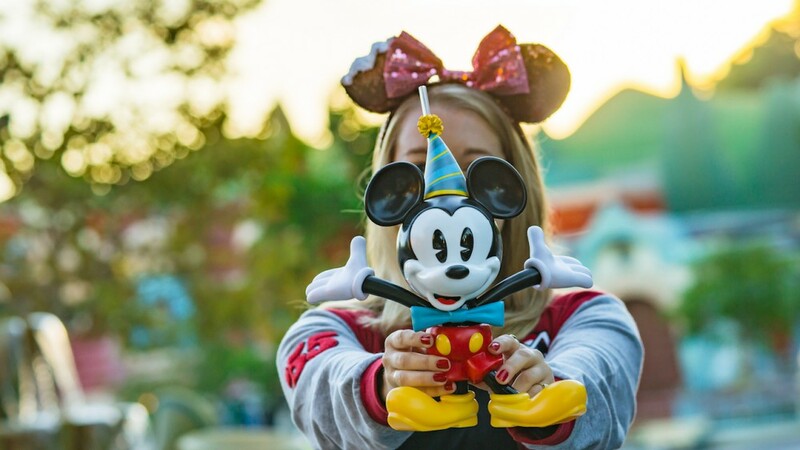 These favorite items from Mickey & Minnie’s 90th birthday in November are back at quick-serve restaurants throughout the park, but only while supplies last! Mickey and Minnie’s Surprise Celebration continues through September.